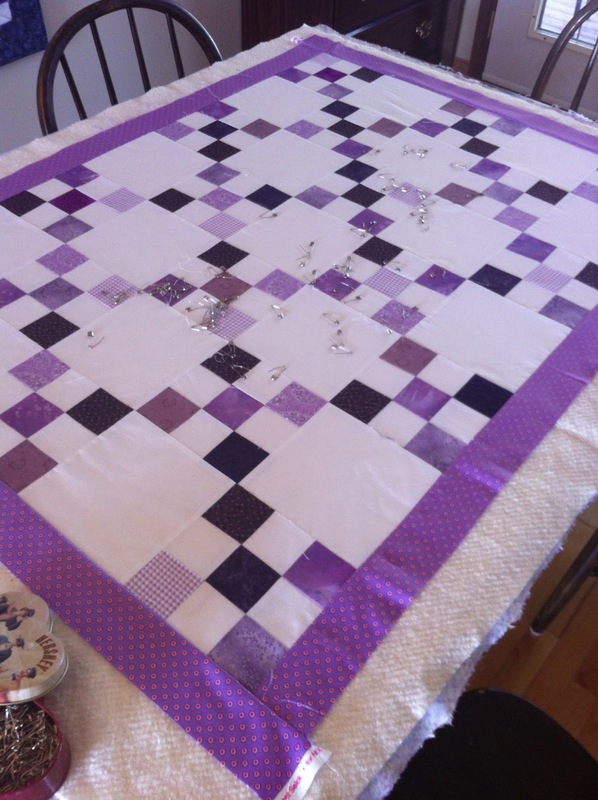 Pin basting on the dining room table! 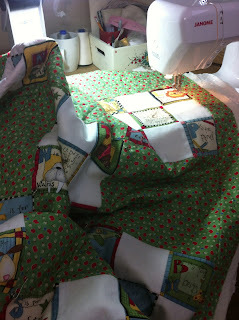 But the sun is out and the weeds are taking over the garden, so the binding will have to wait until later! 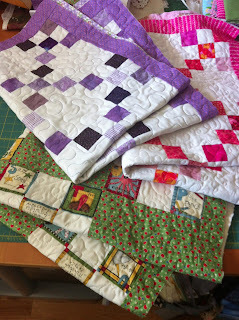 Please check out these links for more WIP from some fabulous quilters! 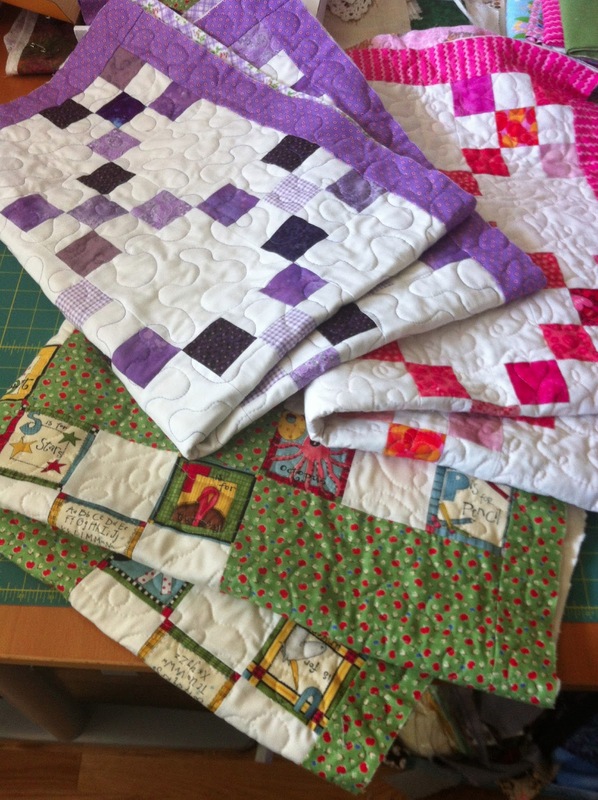 Your quilts are so cute... 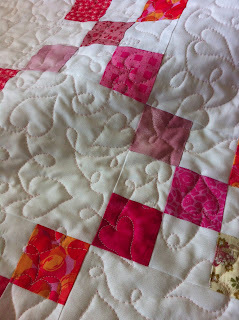 I just love 9 patches and your quilting looks great! Wow, purple is my favorite colour so I love that the most but they are all beautiful. I love your machine quilting! How long have you been doing it? Give me hope please ;). Enjoy your nice weather, it seems to be coming in bits and pieces this year. Very productive, indeed. Yes, I have some of those pesky weeds, too. I love your meandering hearts fmq.